Valentino Uomo Acqua Cologne by Valentino, First launched in 2014, Velantino Uomo Acqua is an irresistible fresh, masculine citrus and herbal fragrance that skillfully balances green, floral and aqueous tones to produce a scent with a smooth finish and excellent longevity. The top notes are unexpectedly sweet with sparkling and sour mandarin blended with the light wood and vegetal tones of almost-ripe tomato fruit, as well as a slight bitter hint of nightshade leaf. Savory and aromatic sage and bush sweet patchouli create a warm backdrop for the sour and sweet introduction. The classic oriental sandalwood finish smoothes out the green and aqua opening aromas, rounding off the tart and bitter notes with the grounding powder and earth tones of mature iris. 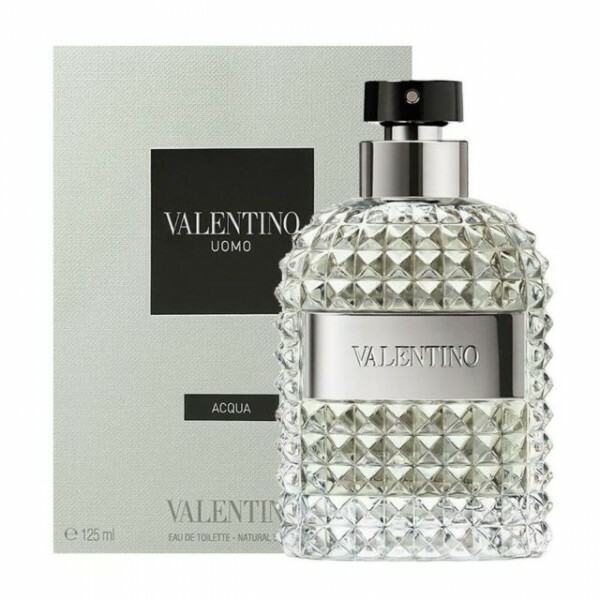 Beli parfum original Valentino Uomo Acqua for Men sekarang, harga termurah di Indonesia!! Nikmati promo dan penawaran eklusif parfum original Valentino hanya di bakul parfum.